The Ito is Black silk over Black Rayskin. Tsuka is 14 inch, double pinned with bamboo mekugi, silk Ito wrapped with hishigami paper. 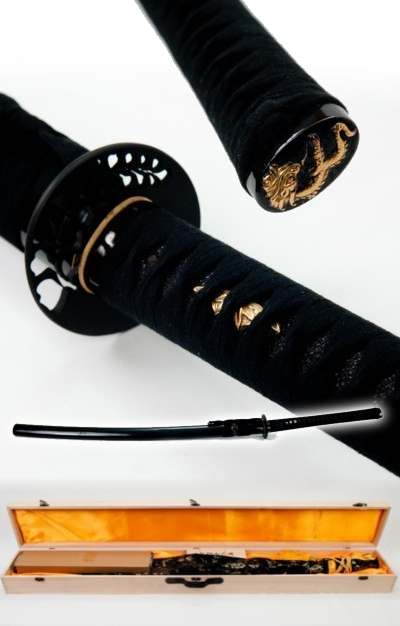 The Blade is 22.5 inches and the Saya is about 29 inches , wood with high gloss Black lacquer finish. 3 pc bullhorn, silk Sageo. Handmade. Brand new, comes with sword bag, wooden box.